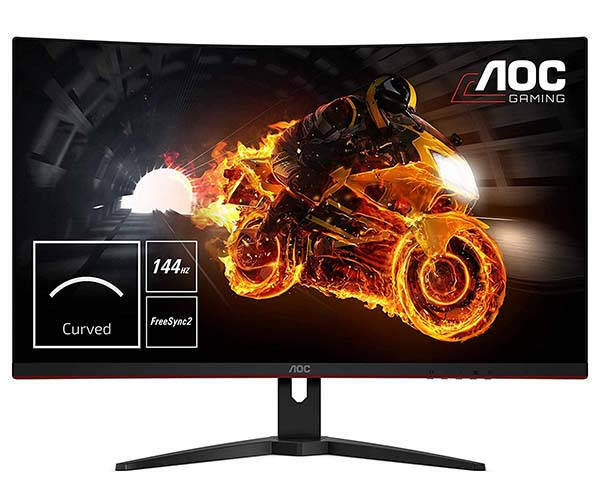 AOC adds more pixels to its properly-received curved gaming G1 collection via introducing the CQ32G1, a 31.5” (80 cm) QHD monitor. Geared toward informal gamers seeking out crisper gameplay, the CQ32G1 raises the bar with the better resolution of 2560×1440 pixels, and offers the identical 144 Hz refresh rate, 1 ms reaction time in addition to AMD FreeSync guide just like its full HD G1 series siblings. Imparting multiplied fidelity and details way to QHD decision, a big enveloping 31.5” display length and 1800R curvature upload a whole new level of immersion to the gameplay revel in. The CQ32G1 is to be had in Europe as of February with an MSRP of £ 359. The AOC CQ32G1 relies on a 31.5-inch curved VA panel of 300-nits peak brightness, 2560×1440 resolution, a 3000:1 contrast ratio, 1 ms MPRT response times, and a 144 Hz refresh rate. The manufacturer says that the panel can display 16.7 million hues and cowl 124% of the sRGB color gamut, but does now not say whether it could technique some other gamuts. Being primarily a gaming monitor, the CQ32G1 has three key selling points, including 1 ms ultra-low motion picture response time, AMD’s FreeSync dynamic refresh rate technology, as well as a 144 Hz maximum refresh rate. AOC has not disclosed the FreeSync ranges of the display and whether they are wide enough to support AMD’s Low Frame Rate (LFC) features. Entry-level 144 Hz monitors typically feature very decent FreeSync ranges from 30 to 144 Hz and do support the LFC capability. The AOC CQ32G1 gaming monitor is now available from leading retailers like Amazon. In the US, the product is available for $395. In mainland Europe the device will cost €399, whereas in the UK it will be priced at £359.